Myth number one: What is the "difference" between natural and synthetic vitamin C? Vitamin C, as ascorbic acid, is a specific molecule having a specific molecular structure. It is not a complex, or a substance with multiple chemical or nutrient ingredients. There are many products offered to the public these days that appropriately raise the question of whether that product is natural or synthetic. Sweeteners would represent one example of this. You can have a sweetener of natural origin like stevia and stevia extract. Or you can have something like aspartame that simply does not exist in nature. However, something like sucrose, or table sugar, can either be purified from a variety of foods or can be synthesized in a laboratory. Either source produces the same final product. What one does need to have some concern about is how effectively the production or purification process produces a final molecule that is free of contaminants. If either the laboratory process or the purification of something from natural origin produces a very high concentration of identical molecules that have no significant traces of other molecules, then you have the same product. Therefore, the "difference" between natural and synthetic molecules is straightforward, namely, that there is no difference. Along with a host of other molecules, ascorbic acid is a chiral compound. This means that it exists in forms that are effectively mirror images. Even though the chemical composition of the forms is identical, they have different three dimensional configurations. Missing your left arm is very different from missing your right arm, even though the sum total of what makes you up is the same. A right-handed person cannot play golf with left-handed clubs. In some situations, there is no significant difference in the clinical impact or the laboratory interactions between enantiomers, or mirror image molecules. However, such mirror image molecules can also have vastly different effects, especially when a given chemical reaction requires a "lock-and-key" relationship between the reacting molecules. One key fits, and the mirror image key does not. As a practical point, however, one enantiomer can sometimes have a "full expression" and the other enantiomer can have a partial expression, rather than just none. In the case of ascorbic acid, or vitamin C, the L-form is the form most active in nature. For some of vitamin C's known effects, the D-form has little to no activity, and for other effects the D-form has significant activity, although not typically to the extent that the L-form shows activity. Basically, the vitamin C that is derived from natural sources is the L-form. However, the synthetic form of vitamin C can be either the L-form, the D-form, or both. Properly assaying the product determines whether any D-form is present. But just because vitamin C is synthetic does not mean it is the D-form. Myth number three: Is that vitamin C "GMO-free"? GMO (genetically modified organism) crops are very much in the news these days. And rightfully so. However, oftentimes the passion involved in avoiding something being needlessly inflicted on millions of people allows little to no room for some scientific input into the discussion. GMO crops definitely inflict a substantial toxicity, often in the form of the highly toxic substance glyphosate. Worldwide, corn is a crop being especially impacted by GMO contamination. And corn is the source for much of the food-derived vitamin C (another reason why the alternative, synthetic vitamin C, should not be considered "automatically" bad, as noted above). However, glyphosate and other GMO-associated toxins are just that: toxins. And toxins are generally of greatest significance when substantial amounts of them are ingested. They all cause increased oxidative stress inside the body, as the manifestation of their toxicity, and this is the primary reason why vitamin C is so important, since it naturally neutralizes toxins and repair oxidized biomolecules that have already been exposed to a toxin. When someone avoids vitamin C because the only product they can find is a properly purified form of vitamin C that had GMO corn as the source material, they are doing themselves vastly more harm than good. The toxin "exposure" is infinitesimal, and the vast majority of the product, the vitamin C, is the perfect antidote to all toxin exposures, anyway. Remember that everything you ingest is a combination of nutrients and toxins, also known as antioxidants and pro-oxidants. Myth number four: The "vitamin C complex"
The whole concept of vitamin C existing naturally in a multi-compound complex is a fiction of preposterous proportions. Whether the individuals, mostly on the internet, really believe this to be true or are intentionally promoting a fraud is not clear. Certainly, everyone making such ridiculous assertions ultimately ends up promoting some type of a "vitamin C complex" supplement. These individuals even go so far as to say that ascorbic acid is not vitamin C, that ascorbic acid has no impact by itself, and that ascorbic acid alone cannot resolve scurvy, the classical vitamin C deficiency disease. These assertions are astoundingly wrong, to say the least. If for some reason you are among the readers who find this fiction compelling and logical (and the typical YouTube presentations are very slick and seemingly "scientific") I would encourage you to go to PubMed - on your computer - and type in ascorbic acid, ascorbate, or vitamin C into the search box. You will immediately see abstracts listed for thousands of articles. None of them, particularly the clinical studies where vitamin C is being used as the primary or only therapy, mentions "vitamin C complex." In other words, all of the truly fabulous things that vitamin C has been scientifically documented to do has been done with ascorbic acid or another form of ascorbate by itself. No other ancillary nutrients, drugs, or compounds were necessary. 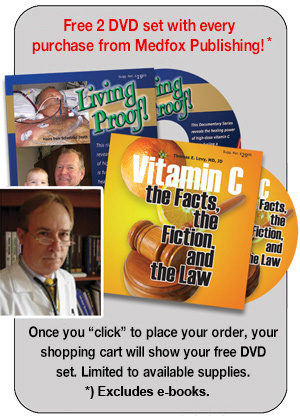 I am not in a position to directly accuse anyone of deliberately inflicting the fraud of vitamin C complex on whoever listens to them, but it strains credulity to imagine that anyone would present themselves as a vitamin C expert and truly be completely clueless as to the existence of the many thousands of articles that would indicate that such a complex does not exist and is not necessary for vitamin C to have its wonderful effects. What I can also add about the different forms of vitamin C being marketed as a complex is that they generally have added bioflavonoid antioxidants and sometimes other positive nutrients. Make no doubt about it, the greater the variety of and the quantity of antioxidants that you can take, the better. More antioxidants do make whatever vitamin C you take more impactful, but they are not required to have a clear and profoundly positive impact from highly-dosed vitamin C. However, these products usually make quality supplementation more expensive than it needs to be, and the C complex products are also not amenable to the easy taking of large multi-gram amounts of vitamin C, such as with pure ascorbic acid or sodium ascorbate powder, as recommended by Dr. Frederick Klenner and Dr. Linus Pauling. Rather, these C complex products serve to prevent the public and motivated health seekers from realizing the many incredible health benefits that can be realized by pushing vitamin C dosing well past what could be accomplished by even taking several bottles a week of such C complex preparations. So, as with just about everything else, let the buyer be aware, and educated. Make sure anything you read or hear on the internet not only makes clear sense, but it is also backed up by some clear science and not just being put forth by an articulate person with charm and charisma wanting to make a buck. Everyone wants to make a living, but motivated health seekers should not be compromising their health just because they are buying into a fraud that is unfortunately just continuing to grow at this point.